Crafthouse by Fortessa is a comprehensive barware collection for the aspiring home mixologist, designed by World Champion bartender, Charles Joly. Charles has applied his bartending ethos to the broad line of tools and glassware to bring the authentic cocktail experience home. Inspired by prohibition-era barware and updated with contemporary ergonomic principles, Crafthouse by Fortessa provides all the tools to create professional grade cocktails at home. 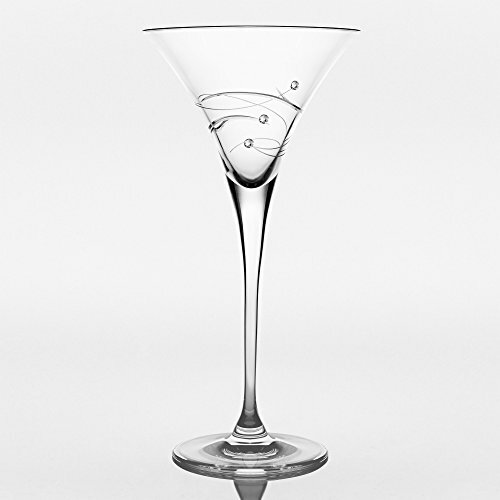 Each piece is designed from the golden age of cocktails and the streamlined simplicity of Deco architecture. Charles Joly is a James Beard Award winner and a lifelong food and beverage professional. The Chicago-native is a certified mixologist who focuses on a balance between the classics and his own seasonal original cocktails. With a strong emphasis on knowing the roots of the craft along with a progressive vision for the future every feature is purposeful and every detail functional. Entertain like a world class bartender with Crafthouse by Fortessa. 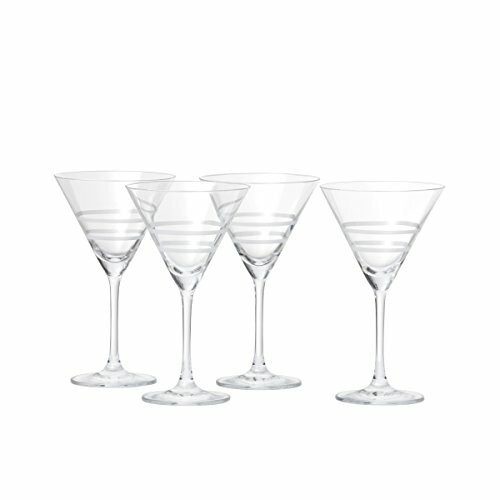 Make your cocktails just a bit more authentic with these classic martini or cocktail glasses with a etched lace pattern. 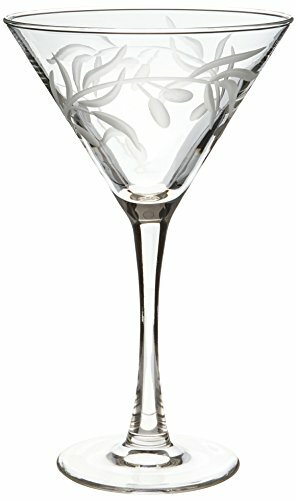 Rolf Glass Olive Martini Set of 4-A lone olive branch bends delicately towards the ground in this dramatic, organic design. Our olive design is diamond wheel engraved and carefully hand crafted in the USA. A long standing symbol of peace, these handsome cut glass, olive branch designs, are perfect for celebrating a big win, or a quiet evening at home. 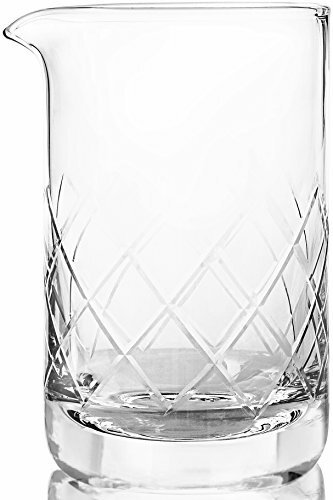 Culver's Deep Etched Glass Monogram Collection is intricately hand etched to offer rich personalized glass drinkware. This process is typically referred to as deep etched. You can feel the etching, yet it's gentle to the touch. 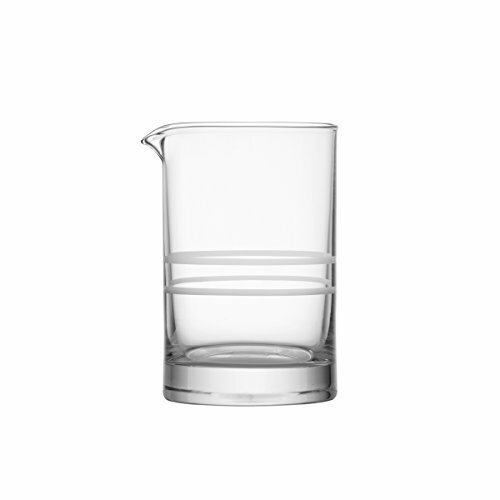 Our process makes this a classic glass barware for both casual and fine affairs. 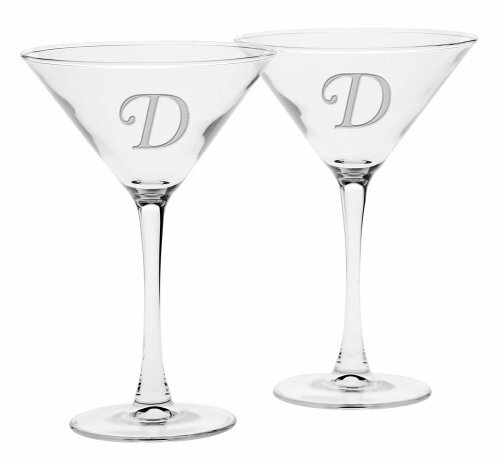 We offer a deep etched single letter monogram in three shapes - double old fashioned, cooler and martini. The hand etching is done at our factory in Pittsburgh, PA. Our glasses are lead-free and made in the USA. 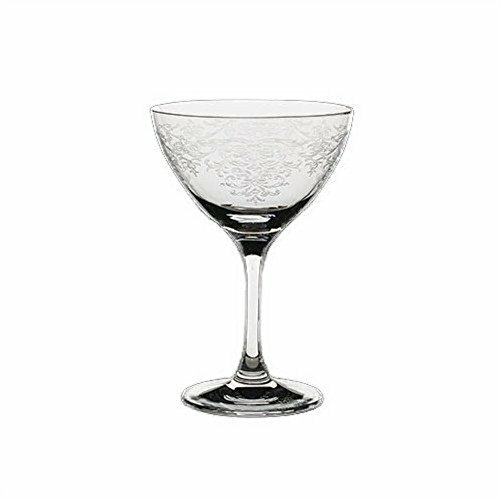 Barski Sparkle Collection - Toast sophistication with European glassware meticulously handcrafted and artfully bejeweled with real Swarovski crystals. Sparkle is about elegant barware with a twist. Inspiring style in any space, this collection features Swarovski gems laden in the glasses with exquisite clarity and luster- a true cause for celebration. 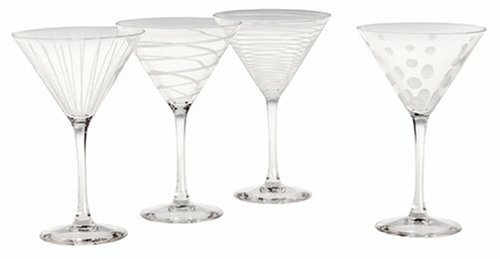 Meticulously etched ballet ribbons gracefully dance and swirl around each glass's surface. Transform cheer into treasure by honoring life's most meaningful moments with an expressive piece from the Sparkle collection. It's a gift they can collect and cherish. Beautifully packaged inside and out. Set of 2 XYZ Silver Zipper Etched Martini Cocktail Drinking Glasses - 7.25 Oz. A little bit naughty but a lot fun, the XYZ ''zipper'' glass is permanently frosted, with a zipper painted on and a real zipper pull attached! 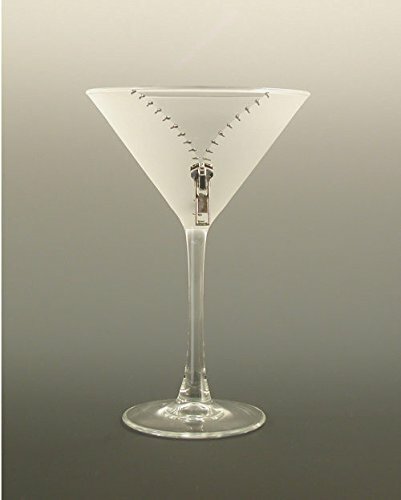 This product is the martini glass with the silver zipper. It is also available with a gold zipper. 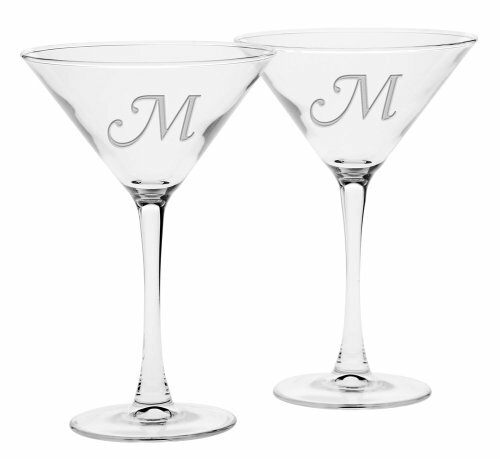 Copyright © Wholesalion.com 2019 - The Best Prices On Etched Martini Glasses Online.